12 Benefits Conditional Love 5.07 Oz. 12 Benefits Instant Healthy Hair Treatment 1.5 Oz. 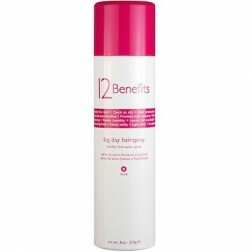 12 Benefits Instant Healthy Hair Treatment 6.0 Oz. 12 Benefits Love at First Lather Shampoo 2.25 Oz. 12 Benefits Love at First Lather Shampoo 8.0 Oz. 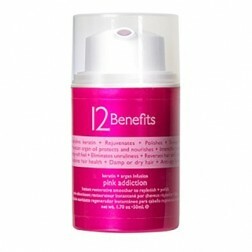 12 Benefits Pink Addiction 1.7 Oz. 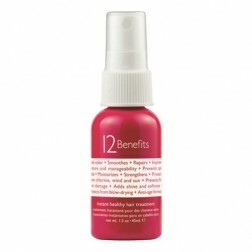 12 Benefits Rapid Blowout Argan Oil Blow Dry Spray 3.4 Oz. 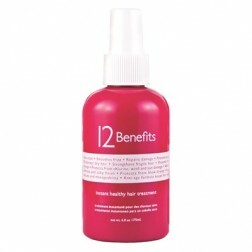 12 Benefits Hair Perfume No. 12 .33 Oz.